Here are you headlines for Friday morning. Another last minute lifeline for Greece. 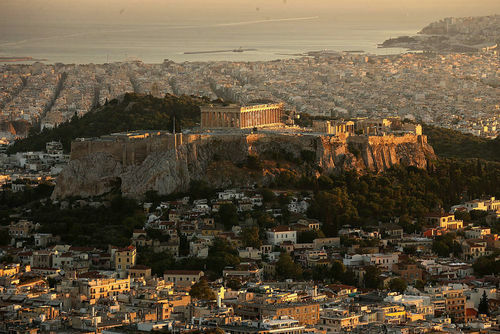 Euro Zone finance ministers strike a deal, unlocking 8 and a half billion euros of loans for Athens. 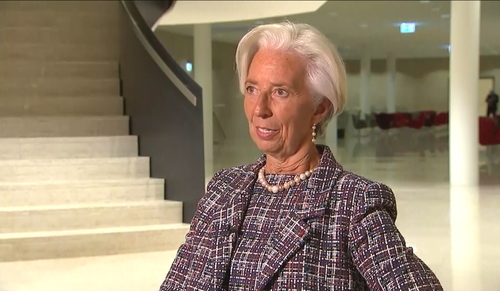 But IMF chief Christine Lagarde says debt relief remains a priority. Selling pressure on the tech sector resumes, with Amazon, Apple and Alphabet the biggest drag on the Nasdaq. 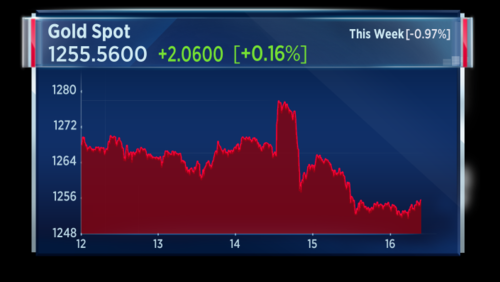 Gold also taking a hit, suffering its worst day of the year. U.K. Prime Minister Theresa May calls for a public inquiry into the fire that destroyed the 24-storey Grenfell Tower, claiming 17 lives to date. Nestle loses its sweet tooth as it looks to sell its $900 million U.S. confectionery business in a potentially significant effort to focus on its health strategy. U.S. markets were under pressure yesterday. Tech stocks slid as investors digested the Federal Reserve's rate hike decision. Shares of Facebook, Amazon, Apple and Netflix all closed lower. Snap, meanwhile, closed 4.92 percent lower at $17 a share, its IPO price. 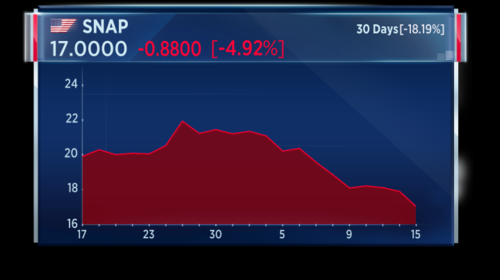 Alphabet shares also fell after being downgraded by analysts at Canaccord Genuity. Greece and its creditors have reached a deal to release the next round of its bailout. The agreement struck in Luxembourg will unlock 8.5 billion euros in loans, but a decision on debt relief was put off until next year. Brexit talks are to begin on Monday, as originally planned. The U.K.'s Brexit Secretary David Davis and EU negotiator Michel Barnier confirmed the start date for formal negotiations following preliminary talks in Brussels. 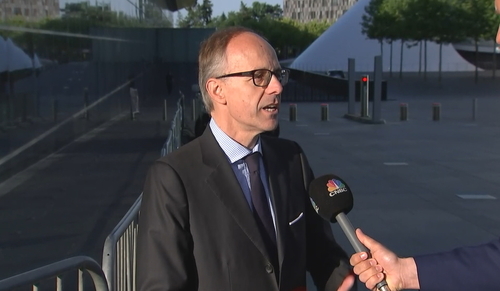 Luc Frieden, Chairman of the Banque Internationale a Luxembourg and Luxembourg's former Finance Minister, shared his views on the impact of Brexit. So with those two pillars, in between a deal can be found. However, Luc Frieden thinks a deal will take a long time, more than allowed by the current deadline of March 2019. Swiss food giant Nestle said in statement that it's considering selling its U.S. confectionery business, which includes brands like 'Butterfinger' and 'BabyRuth'. However, the company said it will push ahead with its U.S. investments in other product areas. 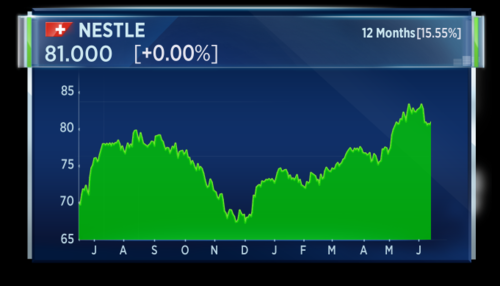 Nestle's CEO told CNBC in February that he was open to strategic M&A opportunities. Johnson & Johnson has completed its acquisition of Actelion for a total purchase price of around $30 billion in cash. In connection with the deal, Actelion has spun off its drug discovery business and clinical development assets into Idorsia, a newly created bio pharmaceutical company. 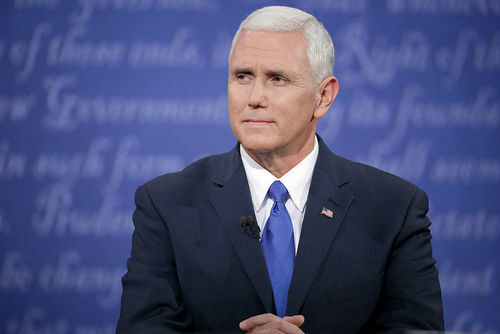 U.S. Vice President Mike Pence has hired an outside lawyer to aid him during the investigations into whether there was collusion between Russia and the Trump campaign. Pence's office announced the Vice-President brought on attorney Richard Cullen, who also currently represents former FIFA President Sepp Blatter in the ongoing probe into corruption at soccer's governing body. This comes as President Trump unleashed a flurry of tweets calling the Russia investigation "phony" and a "witch hunt." 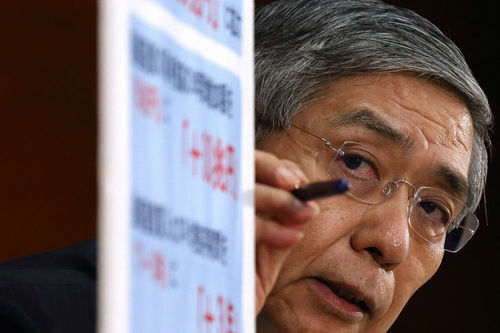 The BOJ kept its monetary policy steady and upgraded its outlook for global growth and consumption. Governor Kuroda (pictured) signalled he was confident that a economic recovery in Japan was gaining momentum, boosted by strong exports. The central bank governor is expected to reassure markets that there will be no early withdrawal of the current stimulus programme. 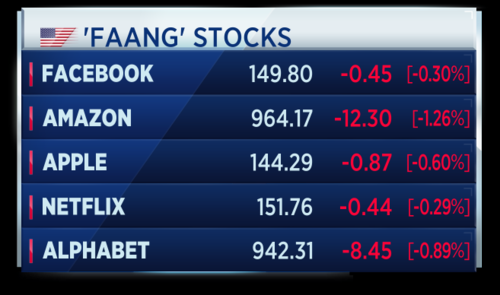 The NASDAQ fell yesterday, with shares of Facebook, Amazon, Apple and Netflix all closing lower. The latest move comes after tech stocks suffered their biggest two-day decline since December earlier this week. One of the biggest losers in yesterday's session was Snap. Shares in the social media company closed at its IPO price on Thursday, with its stock hitting 17 dollars for the first time since the company debuted on the NYSE. These are the top news stories this hour. Nestle loses its sweet tooth, as it looks to sell its $900 million U.S. confectionery business in a potentially significant effort to focus on its health strategy. European car sales were up 7.7 percent in May to 1.43 million vehicles, according to the ACEA. In the period January to May, sales were up 5.1 percent to 6.92 million vehicles. Tesco reports positive like-for-like sales growth has been maintained for a sixth consecutive quarter; group like-for-like sales growth was 1 percent, while U.K. like-for-like sales growth was 2.3 percent. The company says it saw a small improvement in performance in Europe, driven by strong growth in the Czech Republic and Slovakia. Norway's trade surplus in May fell to 7.8 billion krona from 22.2 billion in April. This was caused by a large jump in imports. Christine Lagarde, managing director of the IMF, spoke to CNBC following the achievement of a deal between Greece and its creditors. What’s important today is the Europeans have agreed to finance the imminent payment for June and July and that will avoid the risk of significant volatility and possible disruption on the markets. So for everybody’s sake it’s better that we have no crisis and that the European stability mechanism pays what the European partners have agreed. 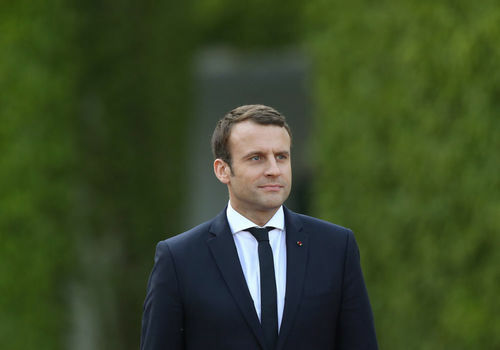 New polls show French President Emmanuel Macron's party is on course to win a commanding majority in the final round of France's parliamentary election Sunday. Data from Opinionway and Harris Interactive predict Macron's party and his allies taking as many as 470 seats out of 577. If that happens, France's long-dominant political forces, the Republicans and the Socialist Party, will be marginalised in the Parliament. Sinn Fein leader Gerry Adams has raised new questions about the deal British Prime Minister Theresa May wants to strike to stay in power. He says he plans to oppose any arrangement that would undermine the Good Friday agreement, the 1998 peace deal that ended decades of sectarian violence in Northern Ireland. May has been in talks with the Democratic Unionist Party. Adams recently met with May to voice concerns about an alliance. 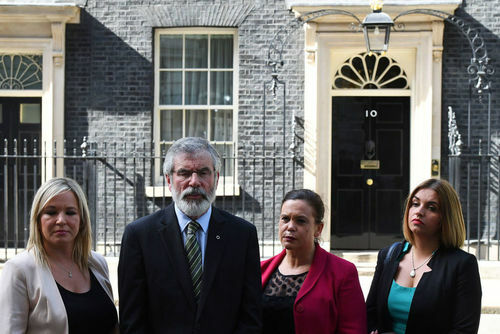 Michelle O'Neill, leader of Sinn Féin (left) and Gerry Adams, president of Sinn Féin (second from left) stand with colleagues outside 10 Downing Street. 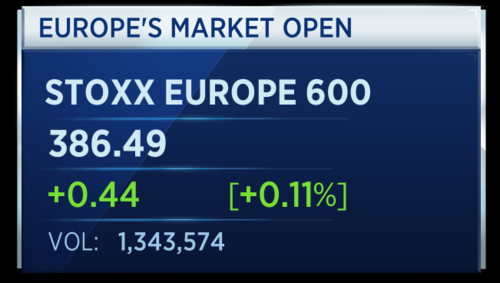 European markets will open in half an hour's time. Here are the opening calls for the major bourses. 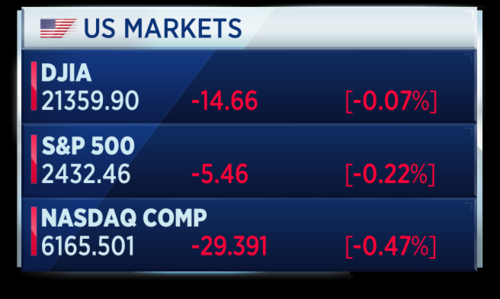 The NASDAQ fell yesterday, with shares of Facebook, Amazon, Apple and Netflix all closing lower. Some investors have suggested there is a link between the fall and the Federal Reserve, which raised interest rates this week and thereby increasing the cost of borrowing and debt for some firms. Andy Brough, fund manager at Schroders, shares his thoughts on what’s moving markets. But not only that, the actual earnings outlook for these companies is coming under pressure. Apple is struggling, but it’s so large its attracting more money. Andy dismissed the interest rate reason for the fall, as it was only a 25 basis point hike, rather than a hike to an interest rate of 5 percent. 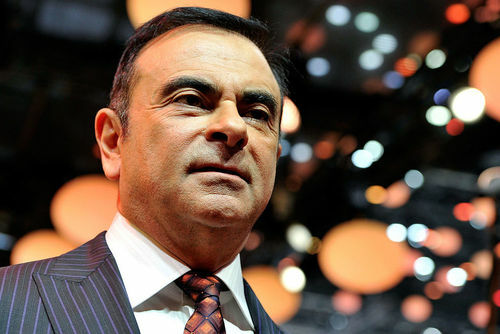 Renault-Nissan chairman Carlos Ghosn says there are no current plans to roll out extra bonus schemes for top managers. This was in response to a Reuters report detailing how the car producer's bankers had drafted plans to pay million of euros in undisclosed bonuses to Ghosn and other executives via an especially formed service company. Ghosn said the incentive scheme has not been put to the board yet and a decision is not expected anytime soon. 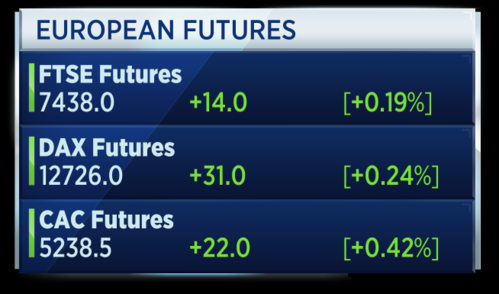 European markets bounce back at the start of Friday trade. 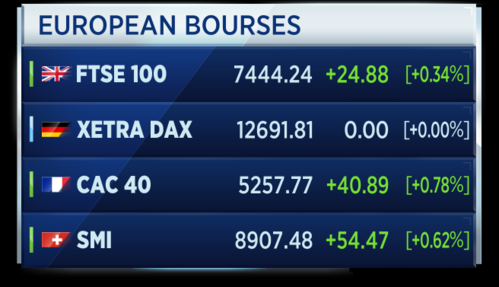 Major European bourses are looking stronger at the start of trade (although the German DAX is slow to start). 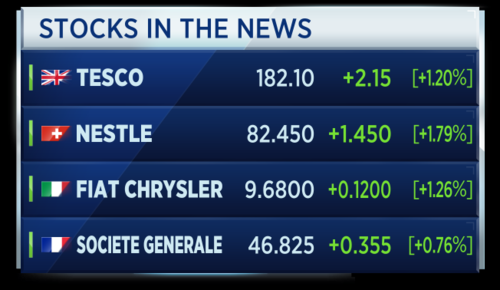 The autos sector is revving up at the start of Friday trade, rising more than 1 percent. This after data showed European car sales rose nearly 8 percent in May -- rebounding after a dip in April, and nearing pre-crisis levels. Nearly all manufacturers posted gains, with Japanese carmakers Suzuki and Toyota leading the charge with sales growth of 21 percent and 20 percent respectively. Germany's Daimler outperformed its Euroepan peers, with a 14 percent rise in volumes. 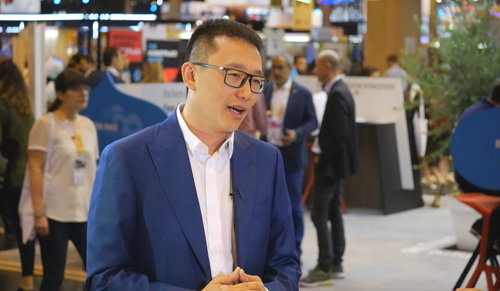 Edmun‎d Shing, global head of equity derivative strategy at BNP Paribas, says the consumer is a big issue in the U.K. and the U.S.
Why the U.S.? Because the Fed is hiking rates at a time when retail sales are falling apart and when I think we have hit peak car, and when household debt levels are worryingly high, particularly in the areas of auto loans and student debt, not so much the mortgages but the other stuff. And the same is exactly true in the U.K. I was looking at the data yesterday and some of the unsecured lending data looks very, very scary. Tesco's first quarter U.K. like-for-like sales rose 2.3 percent in the first quarter, the strongest growth in the retailer's home market in seven years. The result topped analyst expectations, who forecast a range of 1.7 to 2 percent growth. Tesco's CEO said he was confident the retailer could "outperform the market." Swiss food giant Nestle said that it's considering selling its U.S. confectionery business, which includes brands like 'Butterfinger' and 'BabyRuth'. However, the company said it will push ahead with its U.S. investments in other product areas. Nestle's CEO told CNBC in February that he was open to strategic M&A opportunities. Italian automaker Fiat Chrysler is recalling nearly 300 thousand vehicles in its older minivans in North America due to an airbag deployment fault. The company is recalling the 2011-2012 model of the Dodge Grand Caravan, which has been linked to 8 minor injuries, Fiat said. The recall will begin in July. Another last minute lifeline for Greece. Euro Zone finance ministers strike a deal, unlocking 8.5 billion euros of loans for Athens. But IMF chief Christine Lagarde says debt relief remains a priority. 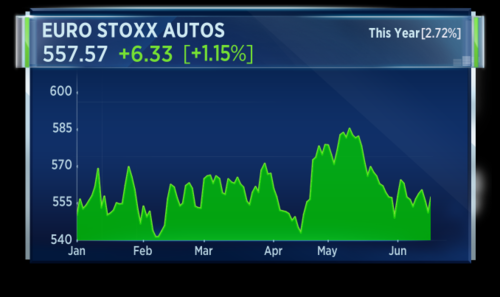 Autos power ahead at the open after European car sales get back in gear with a near 8 percent rise in May, while the steam comes out of the tech sell-off. Nestle loses its sweet tooth - as it looks to sell its $900 million U.S. confectionary business in a potentially significant effort to focus on its health strategy, sending the shares higher. Grocery giant Tesco posts its strongest quarterly sales numbers in 7 years. UK like-for-like rising 2.3 percent in a challenging environment for supermarkets. 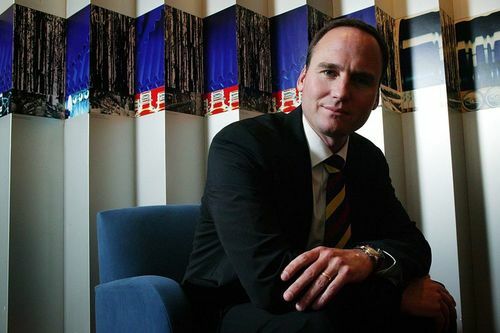 Mining giant BHP has named its next chairman. Ken MacKenzie, the former boss of packaging giant Amcor, will replace Jac Nasser at the start of September. 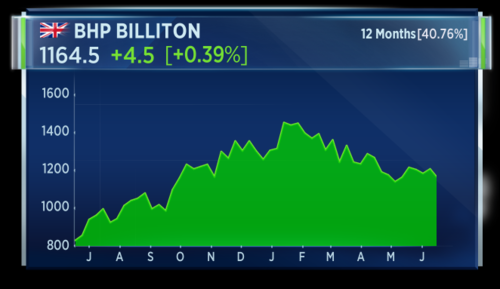 The change of leadership comes as BHP finds itself under growing pressure to overhaul its corporate structure from activist investor Elliott Management. Greece and its creditors have reached a deal to release the next round of its bailout. The agreement struck in Luxembourg will unlock 8.5 billion euros in loans, but a decision on debt relief was put off until next year. 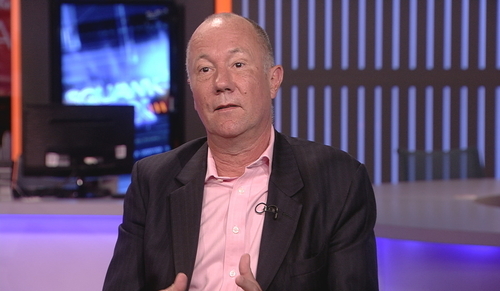 Richard Portes, professor of economics at London Business School, says this deal won’t do much to help the Greeks. The 8.5 billion, most of that goes to pay off loans that were coming due this summer, that’s the first thing. The second thing is this programme involves a 3.5 percent primary surplus on the state budget going to 2022. Now if you believe that that’s feasible, you’re in a different universe than I am. The trouble is that if it fails, because of some domestic policy shock or international policy shock, if it fails the credibility is lost again. Portes compares this to kicking the can down the road. Brexit talks are to begin on Monday, as originally planned. The UK's Brexit Secretary David Davis and EU negotiator Michel Barnier confirmed the start date for formal negotiations following preliminary talks in Brussels. 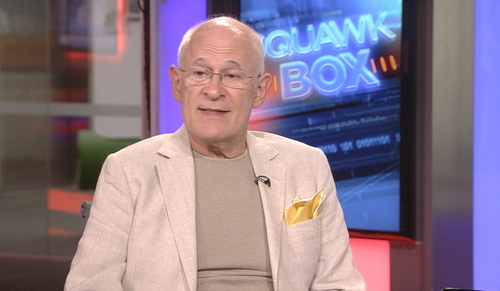 Richard Portes, professor of economics at London Business School, says the U.K. lacks a strategy going into talks. The story is we will come along with a generous offer about EU citizens resident in the United Kingdom. That of course would be a negative for Mr Macron, who is hoping to get back some of the French who are currently here and indeed many of them are planning to go back already. I don’t think we are ready. How can you be ready when you haven’t even got a government yet? Portes says the U.K. doesn’t have a government with an agreed programme. Nestle loses its sweet tooth - as it looks to sell its $900 million U.S. confectionery business in a potentially significant effort to focus on its health strategy, sending the shares higher. 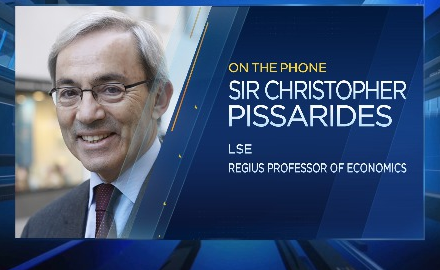 Sir Christopher Pissarides, professor at the London School of Economics and University of Cyprus, says this is a good deal given the circumstances. I’m very positive about linking repayments to economic growth, which is a proposal that I and many other economists have been making for a long time. Rather than requiring the Greeks to repay certain amounts of debt independently of the performance of the economy, to link it to the performance of the economy. CNBC's Arjun Kharpal is at the Viva Tech Conference in Paris. He spoke to Kevin Shen, co-founder of CHJ Automotive, which is developing an ultra-compact car with a swappable battery car. Why do we design this car? Today, just in China there are 340 million people daily commute with e-bikes or e-scooters, but there is strong demand for them to upgrade to something, but we cannot imagine all of them driving regular cars. We want to give them something else, which is the ultra-compact car, saving energy and benefiting traffic. The EU is set to hit Google with a record antitrust fine in the coming weeks, according to a Dow Jones report. The European Commission has been investigating whether Google abused its market dominance by skewing search results on its shopping portal. The U.S. Justice Department has seized $540 million in assets from the embattled sovereign wealth fund 1MDB. The Thursday action claims financiers related to the fund stole these assets, which included a Picasso painting gifted to Leonardo DiCaprio and the rights to the movies "Daddy's Home" and "Dumb and Dumber Two." Beth Ann Bovino, chief U.S. economist at S&P Global Ratings, says they are in line with the Fed’s monetary policy outlook of one more rate hike this year and three next year. We weren’t surprised about the 25 basis point hike just in June, we expect another one in September and we had planned for the Fed to start to move on its balance sheet and next year we’re about in line. Bovino explained why they are taking a more hawkish view than the rest of the market. Maybe markets are also suffering separation anxiety; markets do love those low interest rates and that might be one reason why. In terms of the inflation story, we also do recognize that we have to watch what happens with inflation, we don’t want it to go down lower and that would be something of a concern. 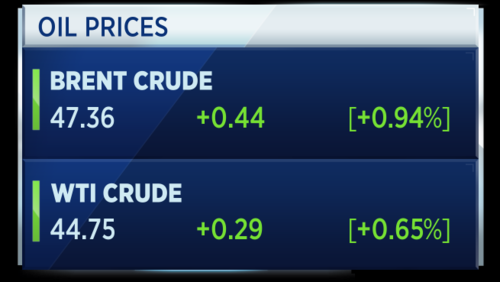 Crude prices are recovering today after hitting a six-week low on Thursday. Reports have come in that Angola place to export 52 cargoes of crude oil in August, up from 50 in July, according to Reuters citing an oil trade. Meanwhile, Kazakhstan's energy minister says the country will comply with the global oil output cut pact in June and July. Gold hit a three-week low earlier in the session as the U.S. dollar firms. The Fed's rate hike and its hawkish tone on Wednesday has knocked the precious metal, it is down almost 1 percent for the week. But does this price fall represent a buying opportunity? Joni Teves, strategist at UBS, thinks so, predicting that downward pressure on inflation may have upside risks for the gold price. We believe there are upside risks ahead to the extent that weak inflation & inflation expectations eventually weigh on yields and contribute to expectations of a more gradual Fed policy path & a flatter curve. This would suggest to us that gold has some catching up to do ahead & current weakness presents a good opportunity to build positions at more attractive levels. However, weak physical demand for gold may deter investors. June is typically a weak month for gold demand, which creates a risk for the precious metal. On the other hand, an upcoming change in India, which is implementing a new tax on gold, may bring forward gold purchases in the country and boost demand. Anthem Blanchard, CEO of AnthemGold, shared his view with CNBC on the impact of the new tax on gold prices. Any tax applied by the Indian government will ultimately lead to physical gold being more coveted by Indian individuals and higher premiums relative to global spot prices. I expect physical gold prices will continue to outperform throughout the year amidst a trend of greater global geopolitical uncertainty year over year. Earlier this morning, May inflation figures for the Euro zone were released. Inflation fell 0.1 percent month-on-month and grew 1.4 percent year on year, according to Eurostat. This matched expectations. Euro zone labour costs grew 1.5 percent year on year in the first quarter, versus a revised reading of 1.5 percent in Q4. Also, wages grew 1.4 percent year on year in the first quarter, against 1.6 percent in Q4. 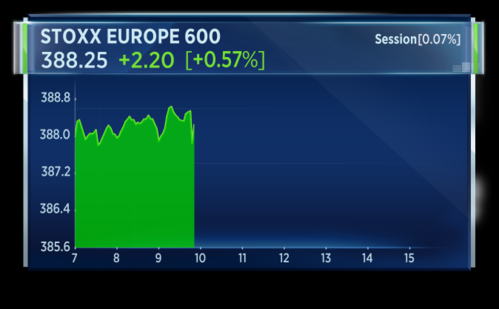 Stocks and the euro ticked up on the news, as slowing inflation and wage growth is a setback for the ECB, making it more reluctant to drop stimulus measures. Claus Vistesen, chief Euro zone economist at Pantheon Macroeconomics, predicts inflation pressures will edge higher soon. We think headline EZ inflation will stay in a range of 1.4%-to-1.6% in the next few months, and that core inflation will edge higher to about 1.4% at the end of the year. The 1.5% rise in nominal labour costs was almost evenly split between a 1.4% rise in wages, and a 1.6% increase in non-wage costs. It is not catastrophically poor, but with headline inflation now “normalised” at about 1.5%, it means that real wage growth now effectively is zero. Among the major economies, wages rose 1.9% year-over-year in Germany, and surprisingly jumped 2.0% in France. Growth remained subdued in Italy and Spain, but we caution that employee compensation data from the national accounts tell an altogether more upbeat story on wages in Spain. Shares in Admiral have slipped a little after the U.K.'s Financial Conduct Authority announces the insurance firm agreed to contact customers who may have been given inaccurate information regarding renewals. The U.K. regulator says Admiral included inaccurate premiums in its renewal documents. Admiral will now make changes to ensure it is fully compliant with FCA rules. 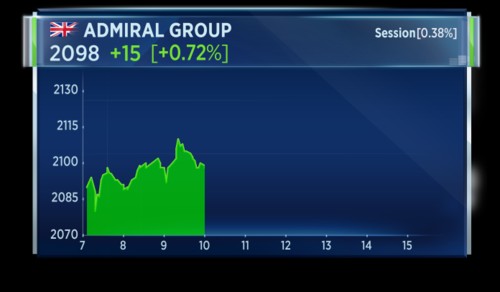 Admiral shares are trending down following the announcement, although remain higher for the day. The U.K. will begin Brexit negotiations on Monday with the European Union. 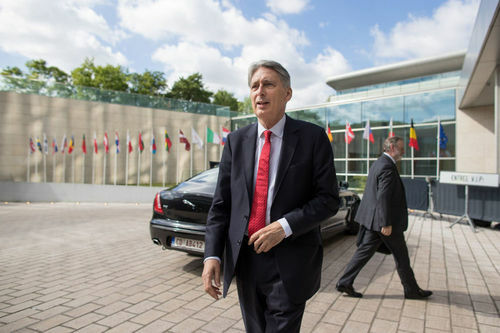 U.K. Chancellor Philip Hammond arrived at the ecofin meeting in Luxembourg. He says his presence is a sign that the U.K. is still engaged with the EU while a member and a sign of its commitment to being close partners with the EU after Brexit. I can confirm that as we enter negotiations next week, we will do so in a spirit of sincere cooperation, taking a pragmatic approach to trying to find a solution that works both for the U.K. and for the European Union 27. Hammond says his view on negotiations is the U.K. should prioritise protecting jobs, protecting economic growth and protecting prosperity. The German Chancellor, Wolfgang Schaeuble, has told reporters that Greece has embarked on an ambitious package of reform. 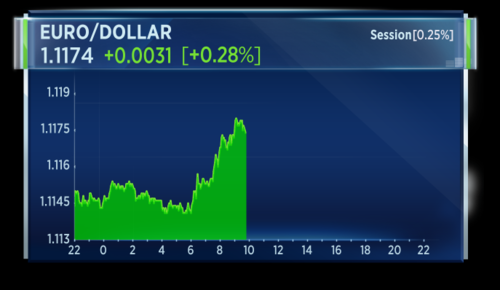 Markets have responded positively to an 8.5 billion Greek loan deal which will stop Greek defaulting on bailout repayments. Berlin has been wary of offering unconditional support to Greece, given looming elections. The end of the Castro family grip on Cuba could be in sight. 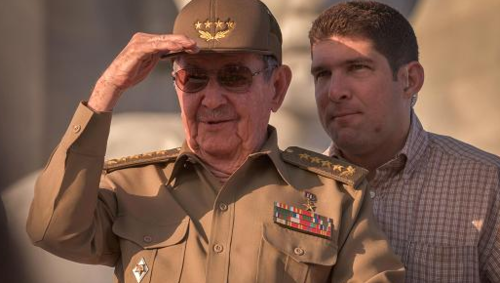 Cuban President Raul Castro, next to his grandson and bodyguard, Raul Rodriguez Castro. Cuba has set the date for municipal elections, the first step in the process of Cuban Raul Castro stepping down as president. They will be held on October 22nd. No dates have been set for the second and third steps to the handover, elections to seat the provincial and national parliaments. Castro has said that he will not seek a third term when his mandate ends in February, 2018. His first vice-president, Miguel Diaz-Canel is widely assumed to become the country's next president. The 57-year-old politician was trained as an electronics engineer and worked as a university professor before rising quickly in the ranks of the Communist Party. He is considered a cautious supporter of market reforms.